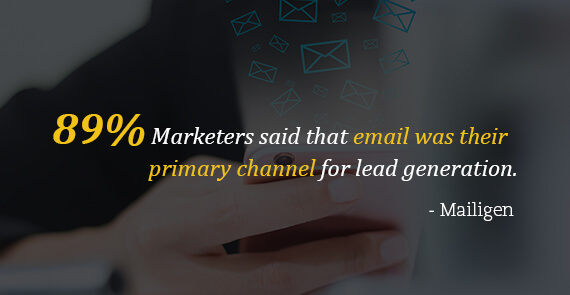 At least 91% of consumers check their email on a daily basis. Thirty-three percent of Americans check their emails throughout the day and another 39% check it up to three times a day. 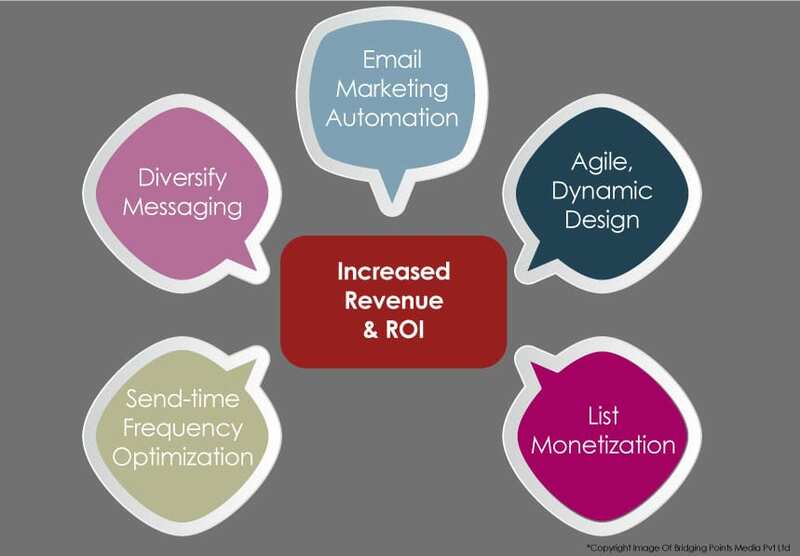 A 2015 study by the Data & Marketing Association found that for every $1 spent, email has an average $38 return on investment (ROI). Email marketing is the act of sending a commercial message, typically to a group of people, using email. By definition, it is the use of email to develop relationships with potential customers and/or clients. 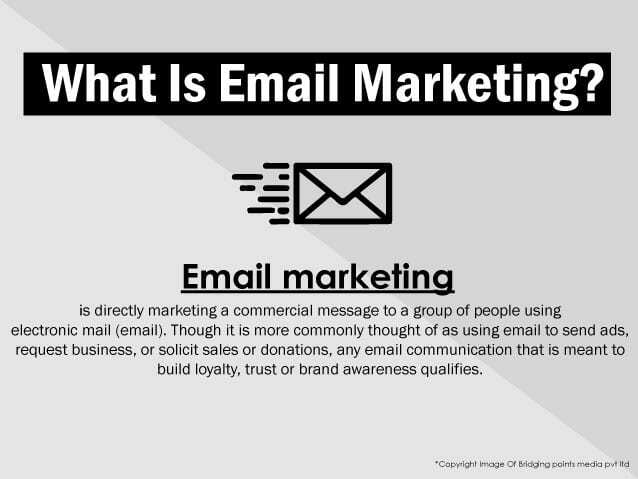 Email marketing is still the most direct and effective way of connecting with leads, nurturing them and turning them into customers. 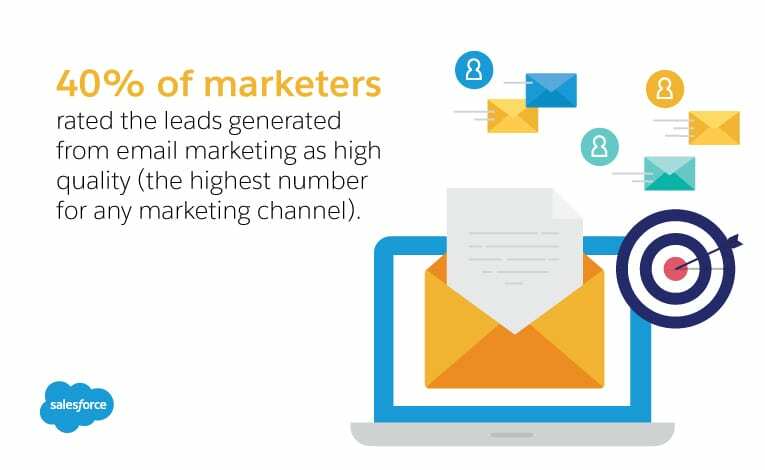 Based on 2018 data, email marketing is still ranked as the most effective marketing channel, beating out social media, SEO and affiliate marketing. Email Marketing is suitable for all kinds of businesses. In email marketing, we typically tap our various opt-in/double opt-in email database to roll out a commercial message on behalf of our clients. An email blast is sent out to a mailing list or a large group of people known as subscribers. 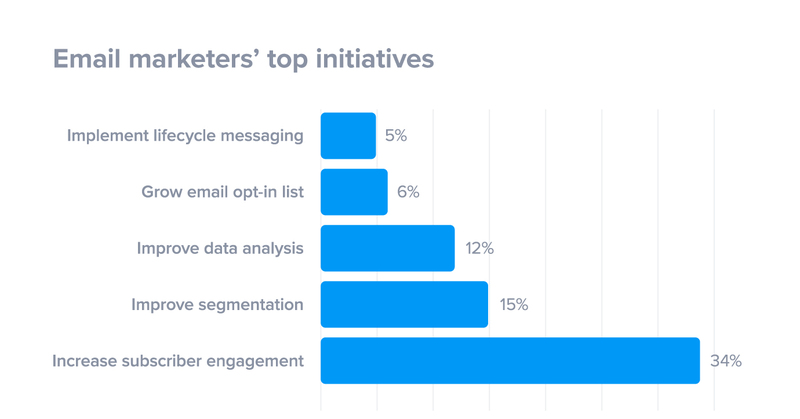 Set a goal for the email campaign—–Outline the types of emails to be sent—–Choose the audience segments—–Select the right technology—–Create eye-catching optins—–Plan email & followups—–Craft perfect subject line—–Prepare email marketing/body copy—–Design email—–Test & track email campaign. When sending an email take note of some key points to maximize the response rate for that email. For example, simply posting ‘enter your email for updates’ isn’t going to get anyone excited. Instead, consider sharing specifics. By sharing a specific call to action or benefit for sharing the email address, we can get more people to subscribe. We need to understand what the customer has shown interest in before, and send similar offers down the line. Those that send blind offers are far more likely to lose permission to keep doing so. The most compelling newsletters are those that do a great job of mixing messaging and updates. Dividing a list in this manner gives us the ability to send more targeted communication. Also split test messaging amongst different groups helps us refine our email list and align our mailing list for various campaigns. We can also track how much money people on our list spend on an average. This will tell us how much our list is worth. We also need to take steps to retain our subscribers as losing subscribers could be dangerous to the bottom line. Timing is of essence: Timing can vary widely depending on the mailing list. We should experiment with the list and see what gives the best results for this set of subscribers. We can also tap into Google Analytics to figure out when the subscribers in a particular mailing list are most active and accordingly time the email marketing campaign. Type of content being sent has a significant effect on the peak time, as well as the location, age and occupation of the recipient. 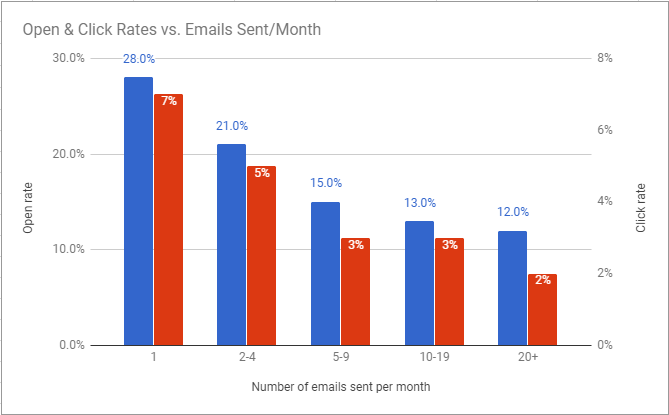 Frequency of marketing emails: We should ask our subscribers how often they want to hear from us. We can also do some A/B testing to see what frequency has the best performance. We should ideally reach out to newer subscribers more often and otherwise, send emails on the schedule established. Optimize for Mobile: Long subject lines won’t be easily viewable on mobile devices. Keep the formatting simple (single-column), under 600px wide. Use a larger font. Small fonts are difficult to read on mobile. Don’t assume images are being displayed (Android turns images off by default). Make sure it looks good without them. Use smaller images to reduce load time. Use a large call-to-action button. Larger buttons are easier to tap with a thumb. Don’t place two links next to, or on top of one another. That way, the user won’t tap the wrong one by accident. Single opt-in and double opt-in subscribers: Single opt-in is when a visitor clicks ‘subscribe’ and they’re on your list. Double opt-in is when a visitor clicks ‘subscribe’ and then has to confirm that one subscribed by clicking a link in a confirmation email sent to the email address provided. Avoid the excessive use of ‘salesy’ language (these are spam trigger words like buy, clearance, discount, or cash). Send email campaign from a good IP address; that is, an IP address that hasn’t been used by someone else who has sent spam in the past. Write for Scanners – subscribers are short on time and long on commitments. The average attention span is 8 seconds. It’s important that we keep emails short & simple. Limit the number of images in your emails and be sure to use alternative text for subscribers who don’t download the images. Use Lead Magnets intelligently – A lead magnet is a free offer we make in exchange for an email address (and possibly additional information). Lead magnets are also called: Signup incentives. 5. Reach an already interested audience because of optins. Emailers or EDMs is an active medium to reach out to the potential customers very quickly and efficiently with speedy results. Email marketing is a cost-effective method to test different marketing content and pin down the content/s or part of the content/s generating maximum interest or leads and sales for the company. We pride ourselves with a very high rate of inbox delivery. We also have niche databases of HNIs, Super HNIs, CXOs, SMEs, Lawyers, Doctors, Architects, etc. filtered as per gender, age, city, occupation, income, ARPU, etc. Email analytics are critical in that if we paying attention, they’ll give us very specific clues as to what we are doing right & what we are doing wrong – what is working & what is not working for an email database or even better for a specific email id. Our email marketing software enables one to build, send, and monitor email marketing campaigns at scale. Post completion of the email campaign we provide a detailed report to the client on the number of mailers sent out, number of mailers delivered, number & percentage of mailers opened, number & percentage of mailers clicked. If there is more than one call to action – the call to action generating the maximum interest, etc. The most important email analytics/metrics are deliverability, open rate, click-through rate, and unsubscribes. Deliverability rate is the number of emails that made it successfully to the target recipients email. 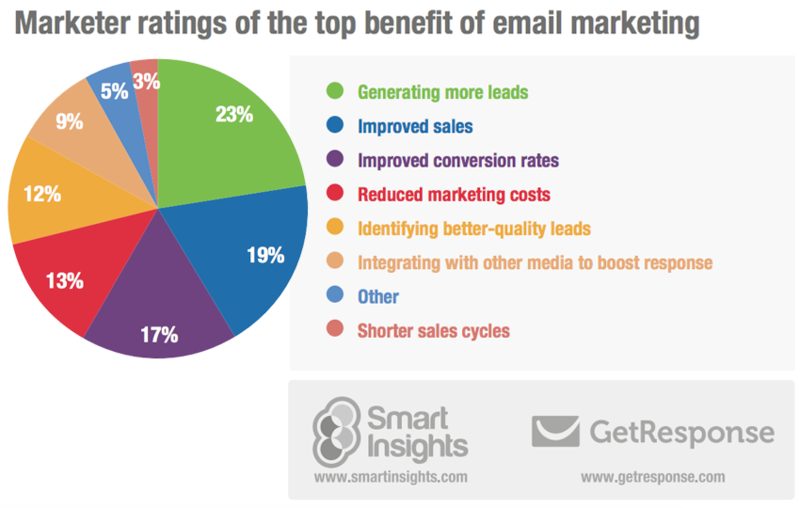 Open rate explains how many people open our emails. If people are excited to read our emails and open them quickly or if open rate is low meaning a lot of unengaged subscribers. This tells us how well we have built your relationship with readers. Click-through rate or CTR shows how many people clicked on a link in our email. If CTR is low, it means that the message is either not targeted enough or simply not getting through. That means we need to focus on improving our copy. Unsubscribe rate tells you how many people have clicked the ‘unsubscribe’ button at the bottom of our email. If unsubscribe rate is high in relation to opt-in rate, it clearly means that some serious work needs to be done. Go for Email Marketing if you want quick results – with the right database and right marketing content, this is a lethal weapon in the hands of the marketers. Analytics helps us to always keep improving..
Give it a try! Lets discuss.